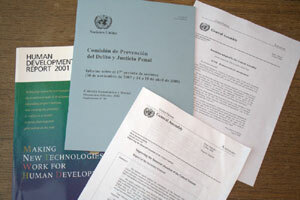 A number of online resources are available to access UN official documents that are considered during meetings of the main bodies, General Assembly, Security Council,or Economic and Social Council. Training programmes are also available for delegates. Both UNITAR and the Dag Hammarskjöld Library propose training courses on a regular basis, during which delegates can learn about the organization of UN documents, and how to search the online resources. See under Training for more information. The Index to Proceedings is an annual bibliographic guide to the proceedings and documentation of the major organs. The Indexes are prepared by the Dag Hammarskjöld Library and are produced at the end of the session/year. UN Member States: On the Record: Information available for each Member State includes: the key documents related to its membership in the UN, statements made before the principal organs, draft resolutions sponsored, periodic reports submitted on Human Rights conventions, and more. Official Documents System (ODS): an online repository of UN official documents published since 1993, in all official languages. An effort is underway to digitize UN Official documents published before 1993, and digitized versions of older documents are added daily to the ODS. 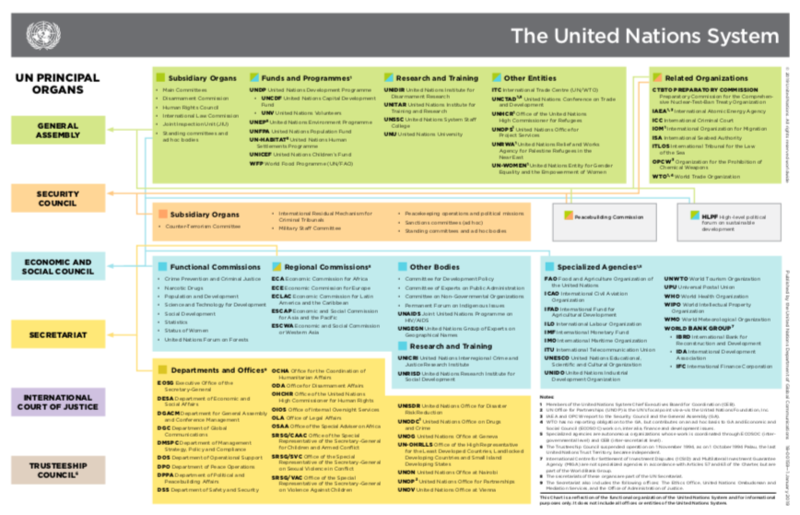 UN Documentation Research Guide: Presents an overview of selected UN documents, publications, databases and websites the basics of UN documentation, and how to search for specific documents or topics. UN Documentation Centre: Provides access to documents by session or year, including lists or resolutions and decisions. Treaty Collection: Databases providing access to the latest information on the status of over 500 major multilateral instruments deposited with the Secretary-General of the United Nations (including the texts of reservations, declarations and objections). UN Publications: An online source for over 5,300 titles produced by the Organization and its key agencies. This web site offers on-line access to the complete catalogue of print, electronic and multimedia resources.